Jeremy Graves is joined by Jerome Mazandarani, Andrew Hewson and Jonathan Clements, for a series of rants and ill-informed commentary about anime, manga, the storm over the Hugo Awards, and your most awkward convention moment. Download it HERE. 01:00 Delays, to Fairy Tail The Movie and Jormungand. Jonathan Clements is accused of being a complete Cnut. Stuff that will be happening at the Birmingham Comic Con and Kitacon. 04:00 Breaking out the world’s smallest violins for Torrent sites. and BBC3. The exciting world of “back catalogue”. 10:00 What counts as “good sales” in Japan? 500 Nutters? How can a film make a loss in cinemas but still profit its production committee? The mysterious case of Heartbeat and Emmerdale Farm (not anime, but just imagine…). 16:00 The Ghost in the Shell live-action movie, and the chances of everyone being crushingly disappointed again. Who would you pick to direct a notional GITS movie? As promised, a link to our interview with the director of The Raid. 19:00 Speaking of people called Gareth, we’re back to Godzilla. The chances of Martin Scorsese directing GITS (unlikely). The prospects for Tom Cruise’s Edge of Tomorrow, “based on the book that looks like a manga.” The chances of Kurt Sutter beating up Jerome, and a bizarre tangent about the script-writers for The Shield. 25:00 The politics of handing out a Lifetime Achievement Award to Katsuhiro Otomo, and other issues to do with enticing Japanese guests to foreign events. 29:40 The ridiculous scandal over the Hugo Awards, in which Jonathan Ross is appointed to host, SF fandom kicks off, Jonathan Ross withdraws, SF fandom kicks off again, and Jerome Mazandarani goes through the fall-out arising, beginning with the press coverage and working backwards. 36:00 The ridiculous scandal over the Hugo Awards, this time from the perspective of Jonathan Clements, who has brought up the Worldcon twice before on this podcast and got nowhere. A very different version of events, beginning with the fight on the committee and working outwards (and ending with a plug for Anime: A History for Best Related Book). 44:00 The quest for panel parity, the gender division within fandom and whether or not that is reflected in film festival juries and, er… podcasts like this one. The hidden influence of Jonathan Ross on Ghost in the Shell: Innocence and its UK sales. 48:30 Will you be releasing season two of xxxHolic? And an answer that transforms into a plug for Blood C.
50:25 Pros and cons of releasing something on Blu-ray before DVD. Why do we have to keep releasing stuff on PAL when modern TVs can handle NTSC conversion…? Why not make everything a Combi-pack? 59:00 Netflix makes it to the Consumer Price Index, thereby suggesting that our secret masters believe “the next format is no format.” The problems of marketing collectibles to people who cannot afford to collect very much. 63:00 Releasing classic films on Blu-ray. The origins of the Blu in Blu-ray: can the Japanese just not spell? 65:20 How would Scottish independence affect an anime company, if at all? 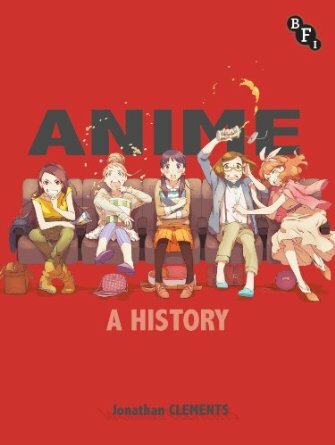 This entry was posted in News and tagged anime, Anime: A History, Best Related Book, Blu-Ray, fandom, Hugo Awards, Jonathan Ross, manga, Manga UK, podcast by ixarette. Bookmark the permalink.